New classes are open for registration now! Please call the organization directly to register. Owls and Loons this time around. 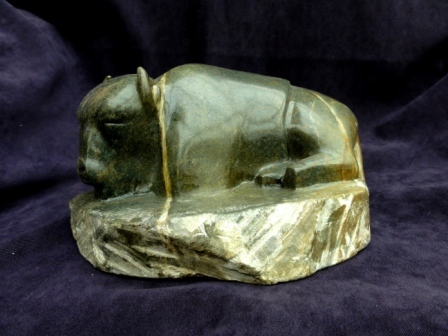 Come join me to create your own soapstone art! Thanks to all who stopped at my table this year at ArtWalk to chat, those who bought and those who generally improved my days there! If you were wondering how the bear I was working on at Art Walk this year turned out, here he is. Sold to my friend Lynn S.
Preparing for Art Walk 2018. I will be there again on 105 street, just north of 82 avenue. Lots of new pieces for you to see! Oct. 13-15 and Oct. 20-22.17 will be the Art Society of Strathcona County's Canada 150 Celebration with a Canada Wide Competition. I have one piece that was juried in, so come out and see many area artists work. ​590 Broadmoor Blvd, Sherwood Park, in the Red Barn. What a great weekend. Thanks to everyone who came out to see me. Now on to Art Walk July 7-9th. ​​Hey everyone, I am teaching locally at the 501 Gallery in Sherwood Park. Sign up and spend 2 afternoons with me creating a Polar Bear. Register with 501 Gallery Visual Arts www.strathcona.ca/registration in the Recreation guide. 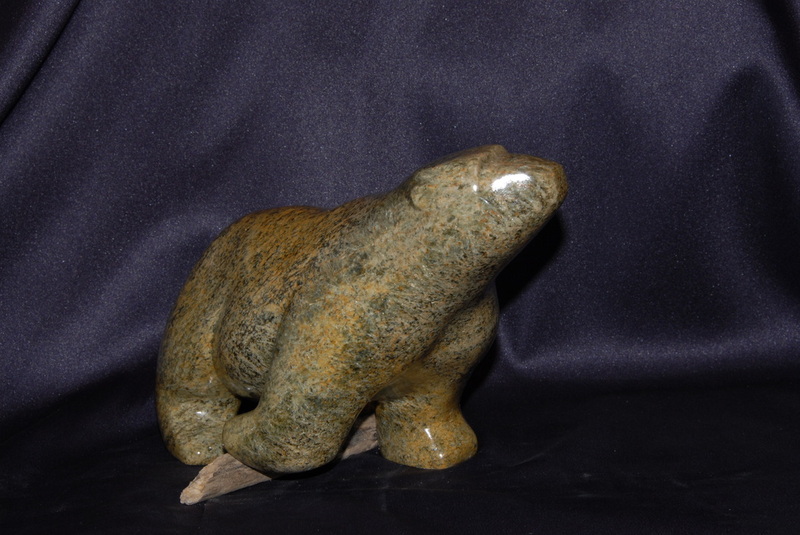 Join professional local artist Kay McCormack as she leads you through the process of carving a small soapstone polar bear. Learn how to use tools to shape your creation, and bring your bear to life! 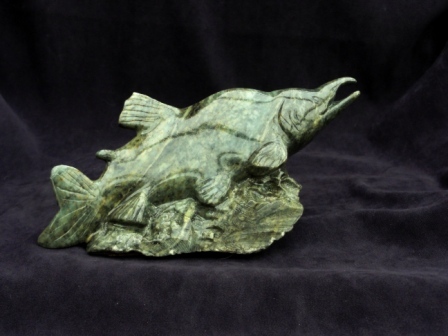 Learn about basic animal anatomy, three dimensional form, carving and finishing techniques, and more.Discover how to transform the beauty in nature into an expressive piece in gorgeous stone. All tools and stone are provided. 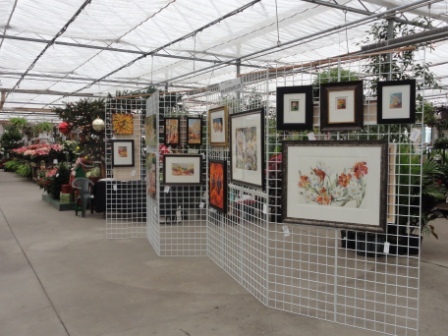 ​Art Society of Strathcona County Spring Fling! Mar 9-11th I will be at the "Night of Artists" in St. Albert (Enjoy Centre) showing with 10 other members of the Art Society of Strathcona County. Our double booth will have a wonderful selection of artwork, and all the while there will be entertainment and fun! Another fabulous class at Lee Valley Tools was completed on Oct. 13th. We carved a Bison and , I must say they all turned out wonderful.The folks in the class were all pleased with their work and I can't wait to teach again there in April 2017. 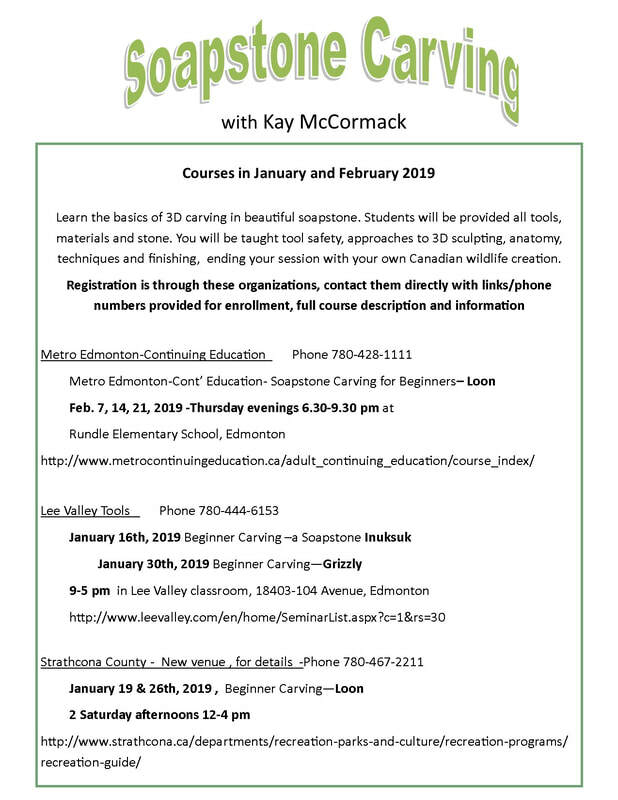 I will be teaching also at Metro Edmonton Continuing Education in March 2017 so take a look when their calendar comes out. October 14, 15 and 16, 2016 is this year's ASSC Fall show. I will have 4 brand new pieces in the show that have never been shown before. A couple of bears and a heron and a frog. I have used some of my new rock that is Colour Plus so they are awesome! Another great year at Art Walk, Reconnected with people who come to see me each year and made new friends as always. Also found a possible a new teaching possibility and several new show venues. Great Time! Update: A wonderful weekend showing people my shop and the process. Then we socialized and viewed my art pieces. All in all a great time! "Hidden Treasure Art Tour". I will be in this Tour. Come see my shop, see my process, and some of my creations! Visit the studios of local artists. See them at work and view their work for sale. No fee, just tour and stamp your card. See the little red square at the bottom of the map, that's me! Please drive 5 minutes east of Sherwood Park to come see me. I have another class planned at Lee Valley Tools, June 10th. We'll be making a loon this time. Class is full but I'm sure we will be doing more, so keep checking their website for seminars in Edmonton. 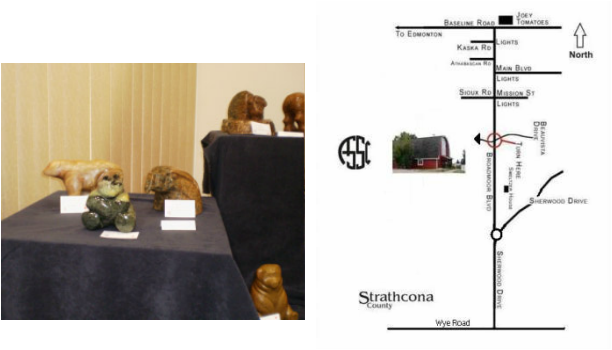 ​Coming up soon, is the Art Society of Strathcona County Spring Show and Sale. I will have 4 or 5 pieces in this sale April 15-17 at the AJ Ottewell Centre (the Red Barn) 590 Broadmoor Blvd, Sherwood Park. There will be lots of art and refreshments at the Friday Reception. ​Dec 2015 -Had an exciting day this week, teaching my first soapstone class at Lee Valley Tools. Totally enjoyed the day! ​A full summer of smaller shows this summer. I went to the "Art in Park Allen" event, the Bison Festival, and just last weekend was the Art Society of Strathcona County's Fall Show. I have had my most successful summer yet, and am so pleased to have seen a few repeat customers come back and either stop and say hi! 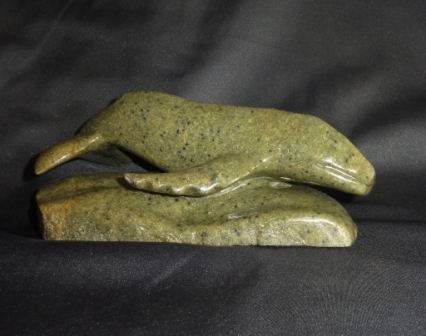 or even buy another soapstone piece! Just received a new shipment of rock from Gian Carlo in BC so I'll be excited toget started on some more creations! So excited to be going to the Blueberry Bluegrass Festival this weekend , Great music and art!! Such fun! Check out the line up and join us in Stony Plain in the Heritage Park. I had such a fantastic time this year at Art Walk! Thank you to everyone who came to talk to me, to the kids that were excited to see me working on a piece and the returning patrons/fans from previous years. It was a fun filled 3 days, beautiful weather and I totally enjoyed myself! In cooperation with Strathcona County and Travel Alberta, Gallery@501 is pleased to invite you to participate in the Artisans Market featured at this year’s Savour Strathcona event. Savour Strathcona brings together arts and culture with local restaurants. The event is free to attend, with visitors able to purchase food tickets to try locally made dishes, and purchase artwork. The Culture and Heritage Association of Strathcona County will be providing games and family activities. Last year, Savour Strathcona included 15 food vendors and 29 artists. Due to the success of the previous two years, we anticipate the attendance level this year to continue to grow. When: July 5th, 2015 from 4 p.m. to 8 p.m.
Just finished 10 days at the Daffodil Gallery where 14 artists were chosen from the Edmonton Art Walk, to display for 10 days. Thanks to everyone who came out to the reception or during this past week to see all the up and coming emerging artists including myself! 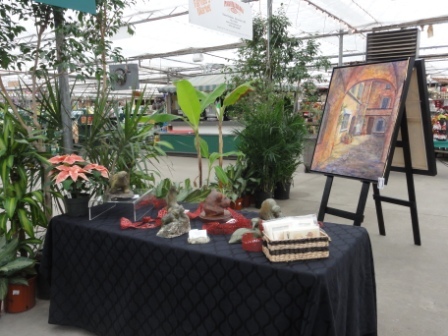 I am going to be at a couple of venues called "Art on the Patio " in Sherwood Park in August. Just a small table at the Patio Music Series at Festival Place on August 6th and 27th. While the concert is playing I will be manning my booth. Hope to see you there! Going to ART WALK 2014! Will be there again but this year I will be on 105 st north of Whyte Avenue. Will have my tent so look for my sign. Looking forward to a fun 3 days! Update!! Had a wonderful Art Walk this year! Great spot , glad I moved! lots of sales and lots more traffic. What fun! Have a couple of shows lined up this year already. Decided not to do the "Make it Show" this spring. Didn't get a lot of new pieces done over the winter so am concentrating on the spring and summer shows. Last Christmas show for Kay this year. All the best remaining soapstone pieces will be there. Come see may talented artists and support your local Ft.Sask. business council . Many great artists will be there. Come see all the wonderful "Makies" and their products. Everything is hand made.... clothing, jewelry, food, art, decor and everything else you can think of! 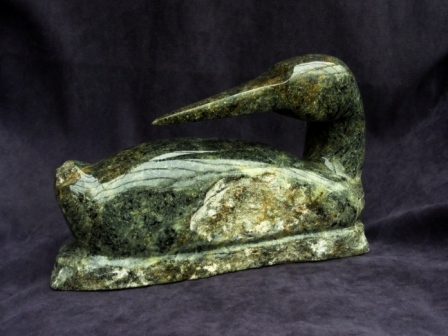 Kay will have 2 tables of soapstone and stone sculpture to choose from for your Christmas gifts, or for a gift to yourself! Enjoy the Art Market, live music and festivities. 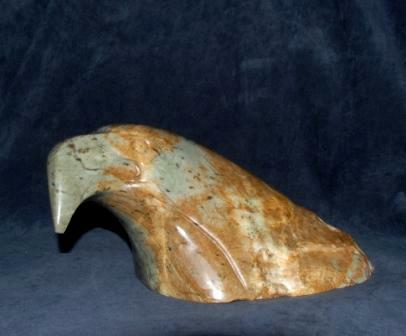 Kay will have her soapstone there and would love to see you! Another fantastic weekend at Art Walk Edmonton! Had my best ever year there for sales, the weather was great, talked to many people and thoroughly enjoyed the weekend. Kay will be showing a few pieces. Check out the great art from the local Society members! "Make It" show - Enjoy Centre - St. Albert,. Hand crafted items. Went to this show this past weekend. What a great show! Hope you made it there. Huge variety of hand made items and crafts. I was blessed with lots of sales and happy customers. Sold 7 soapstone and many necklaces. A wonderful group of local artists showcasing a huge variety of talent in various mediums. 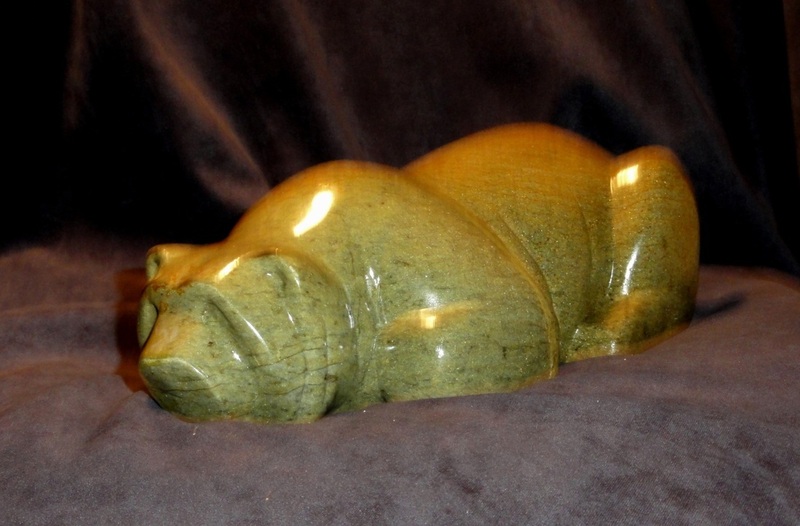 Sculpture, paintings, pottery, fabric art, jewelry and more. Come see the original art being made in your community.